Hilarious comic—and, full disclosure, A.V. Club friend and occasional contributor—has a new album out today. It’s called Tendrils Of Ruin. It’s being released by A Special Thing records. And it is guaranteed to make you laugh. 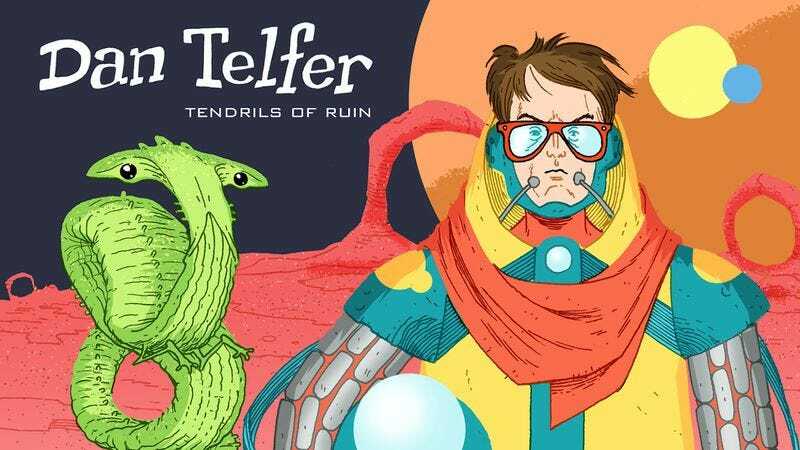 After all, Telfer is the comedian who inspired Maria Bamford to say, “I love Dan Telfer. He is wonderful. He is like a goofier, smarter, funnier, taller me with glasses. And male parts.” Telfer is also the source of that one viral video about “the best dinosaur” that you might have enjoyed. (And if that’s not enough, here’s a sample track for you.) The album is for sale, digitally and physically, at the usual outlets. And we’re giving away five. To enter for a chance to win one of those copies, submit your name, address, and email address here with the word “Tendrils” in the subject line.